Located on Christo Road in Georgetown, Aaron Framed It can help you with any framing project. Working primarily with Artists, Aaron is aware of the need to provide artist quality frames to serve for the longevity of artwork. As such, only acid free materials are ever used with conservation framing available. With the latest in picture framing machinery, Aaron and his team are easily able to carry out production orders with speed and absolute accuracy. Aaron can frame just about anything from Artworks, mirrors, tapestries, works on paper, canvases, 3-D objects, footy jerseys, jigsaws and war medals to the more personal keepsakes such as spoons, bridal bouquets, christening gowns, certificates, and first ballet slippers. Located on Christo Rd in Georgetown, Aaron Framed It has been looking after Newcastle and beyonds framing needs for over 15 years. 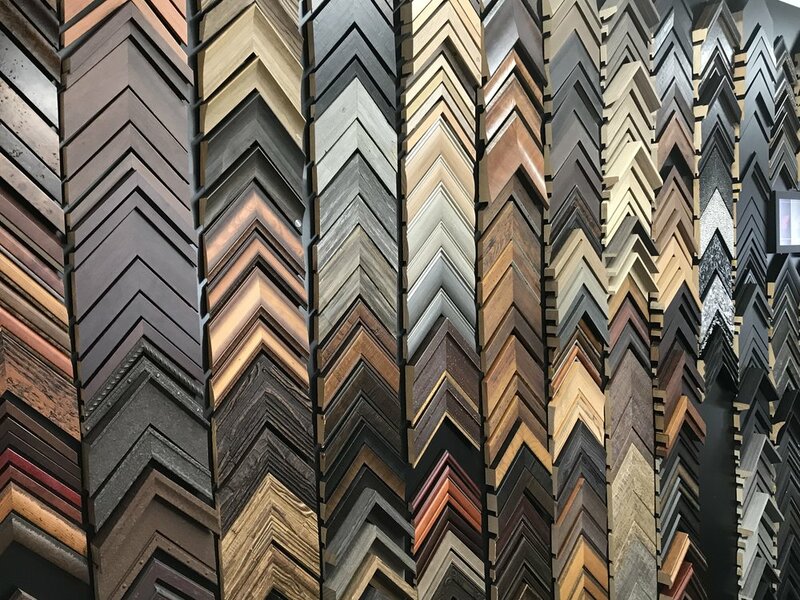 We love working with artisit and with over 1500 readymade frames in stock at all times, you’re sure to find a frame to suit.